Thanks for visiting Kansas butterflies. 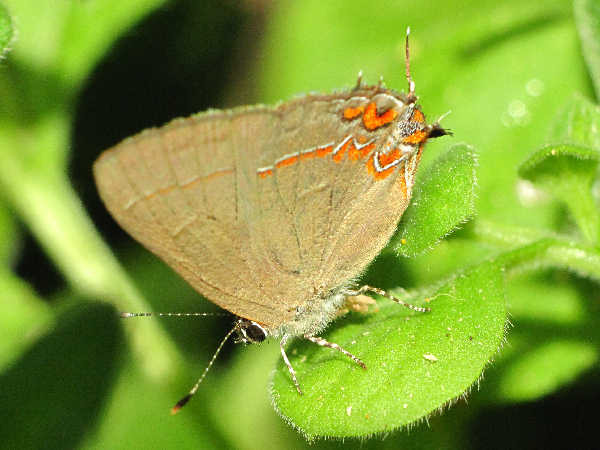 The top picture shows a Gray Hairstreak, one of approximately thirty species that are common in butterfly gardens around the Kansas City area. A quick glance at the Kansas butterfly list shows quite an impressive diversity. Looks can be a bit deceiving. Kansas hosts close to two hundred butterfly species, however almost one-third of them arrive accidentally. When storms roll across the state during the season, they bring in stray species fro neighboring areas. Visitors to Kansas can keep this in mind when they are out and about on butterfly excursion. Skippers, not listed on this guide, constitute about one-third of the total Kansas butterflies population. Anyone looking for butterfly identification help can press the green butterfly button for more information. Kansas butterflies include many in the family with white wings and yellow wings. 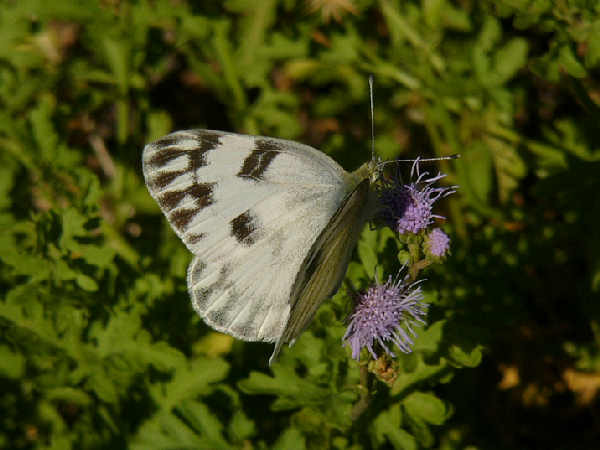 The picture shows a Western White Butterfly. Here’s a list of the rest of the white butterflies and yellow butterflies documented in the state. There’s a nice balance of blues, hairstreaks and coppers in the state. 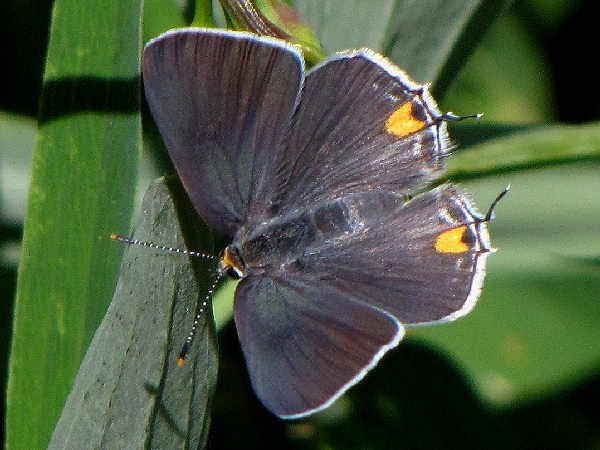 The picture is of a Dusky Blue Groundstreak. Kansas is ideally situated to host a variety of Southern and Eastern Brush Footed butterfly species. Visitors could spend a couple of weeks tracking them all down. The picture shows a Ruddy Daggerwing, one of the few Brush Footed species with extended appendages at the bottom of the wings, much like the Swallowtails. 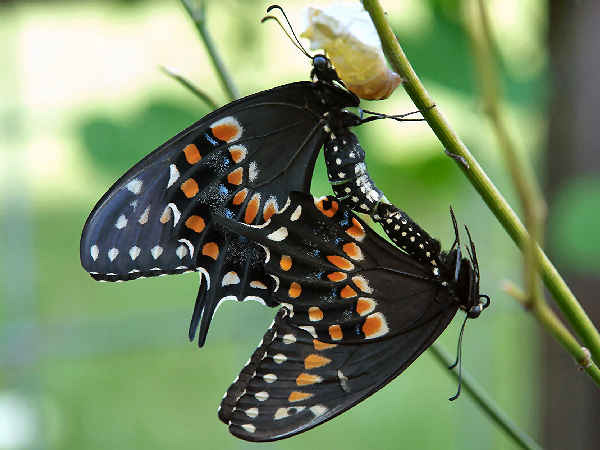 The picture shows a Pipevine Swallowtail. 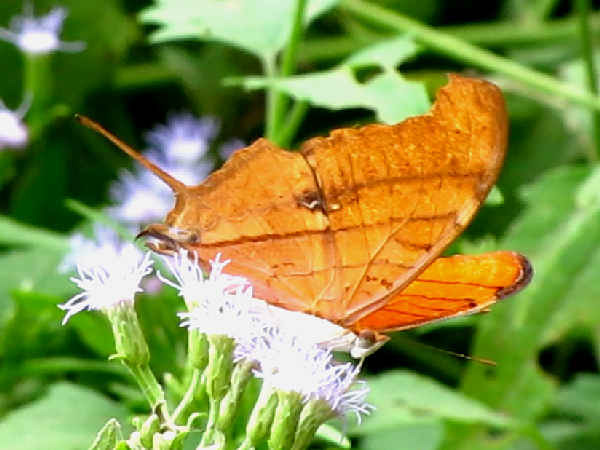 Identifying it starts by noticing the single row of large orange spots on the under hindwing. Similar swallowtail species with dark wings have either two rows and/or additional spots near the body.